Jan (Godfrey Jervis) Gordon (1882-1944) made art in a variety of media, including pencil, watercolour, etching, oil paint and tempera. The family collection of Jan Gordon's artworks spans a period of a quarter century. Here I show a small selection of seven examples, dating from between about 1910 and the mid 1930s, to illustrate the evolution in style. More can be seen here. The Belgian town of Ghent, watercolour, ca. 1910. The story of the exhibition held here by Jan and Cora Gordon is told here. The device of contrasting the emerging miners with the carefree scene in the square is discussed here. 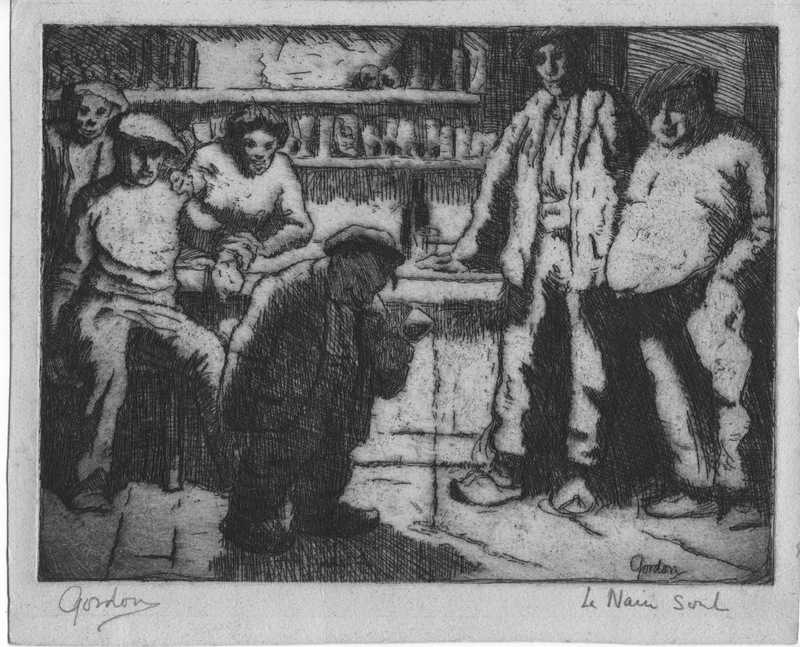 Etching, "The typsy dwarf," by Jan Gordon, exhibited Société Nationale des Beaux-Arts, Paris. Apparently this picture was on the wall in the Leeds house, but at some point it must have "walked." 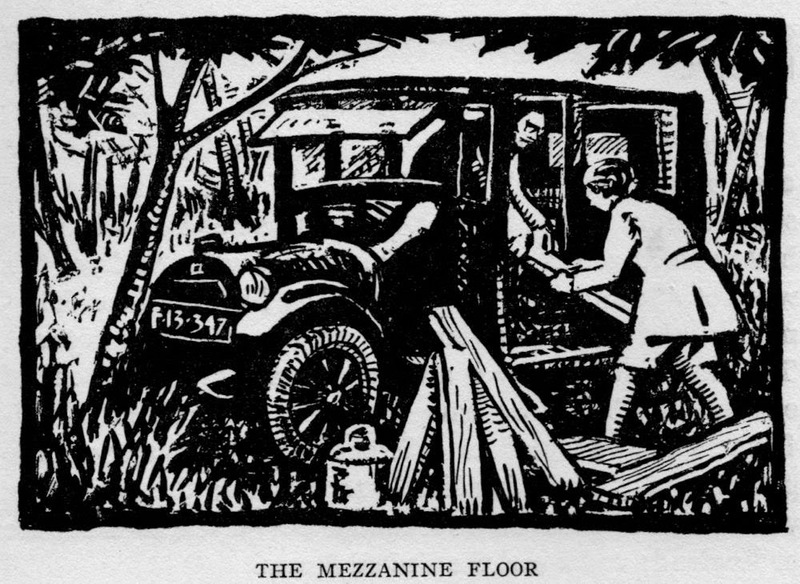 The image shown here is photographed from the reproduction in the 1912 edition of "The Studio". 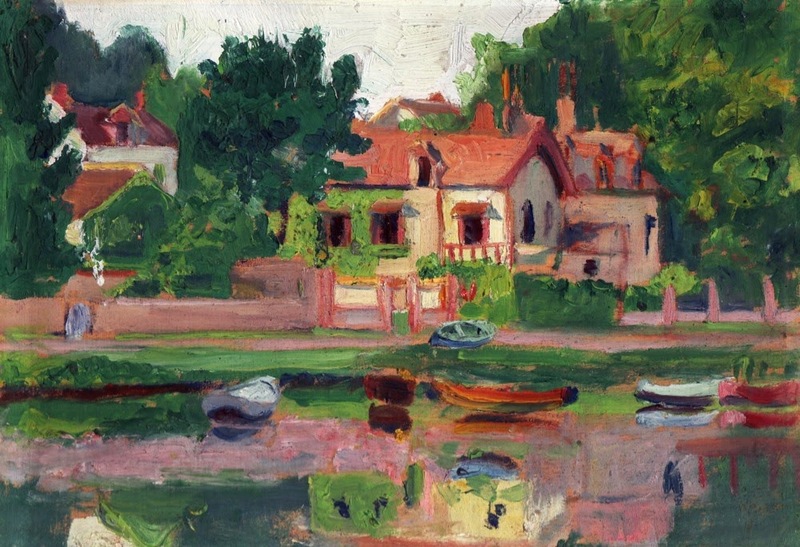 West Sussex, probably 1917/18, but possibly from earlier given that it is painted on a small thin piece of wood, which is the style of work he began with in Paris. Vacations taken by the Gordons with their friends Doris and Ashley Smith are discussed here. 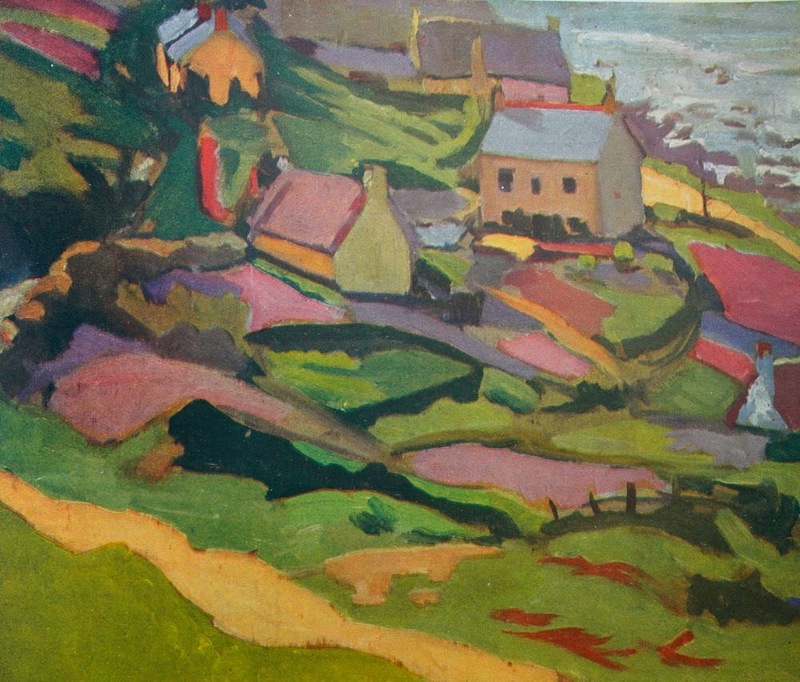 Sennen Cove, Cornwall, about 1919, published in "Colour." A comparison with the Sennen Cove of today can be found here. 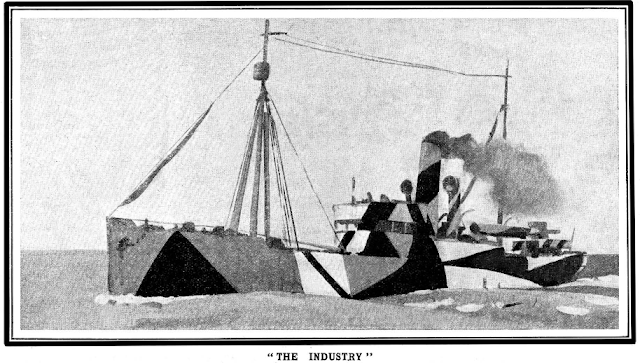 The accompanying text is as follows: "The subject has been seen primarily as a pattern in colour, but at the same time the "lie of the land" has been realised, so that there is no defect of solidity. This is mainly a question of values; of getting the patches of colour exactly the right depth in relation to the general scheme." 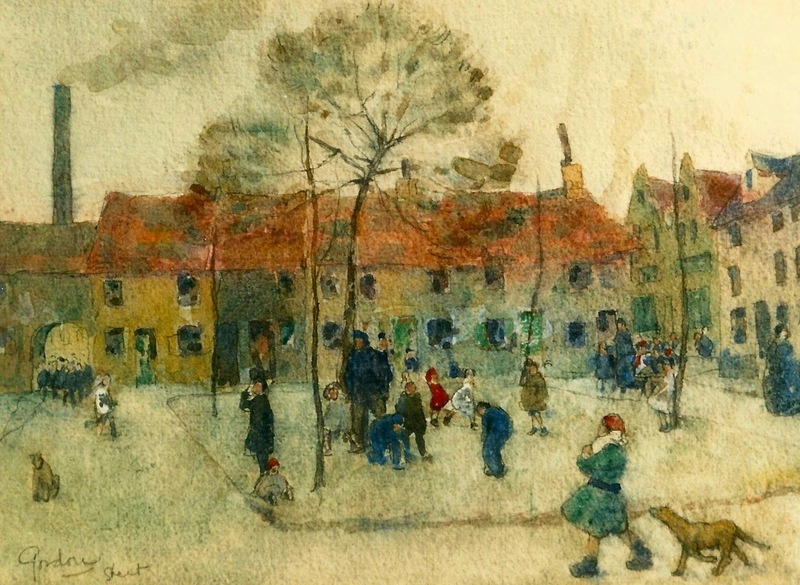 Cora Gordon also made images of this village. Paco at Puerto Lumbreras, about 1922, from the second journey of the Gordons to Spain. This work is discussed here and the story of the Gordons in Spain can be found here. Portrait of Ashley Smith, tempera. A sketch made at the same sitting is shown here. 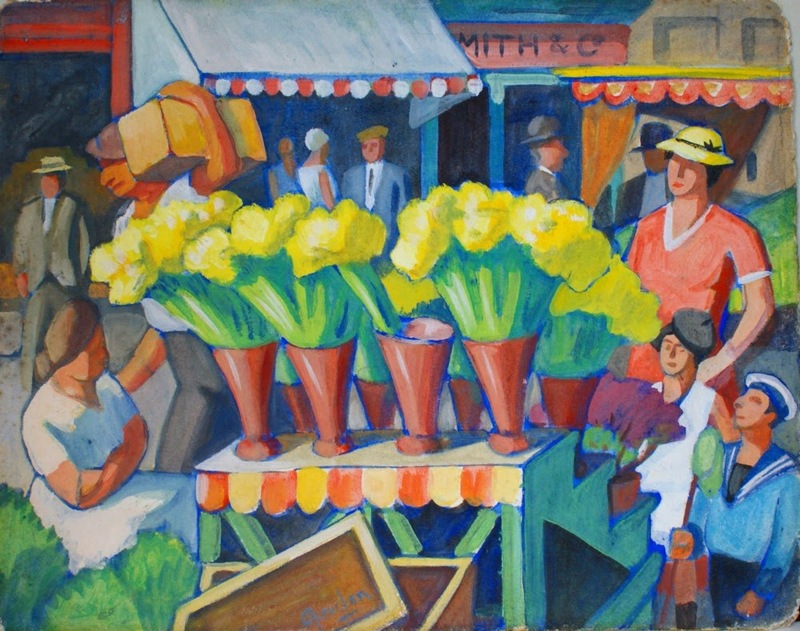 Flower Sellers in London, tempera, dating from the mid 1930s. 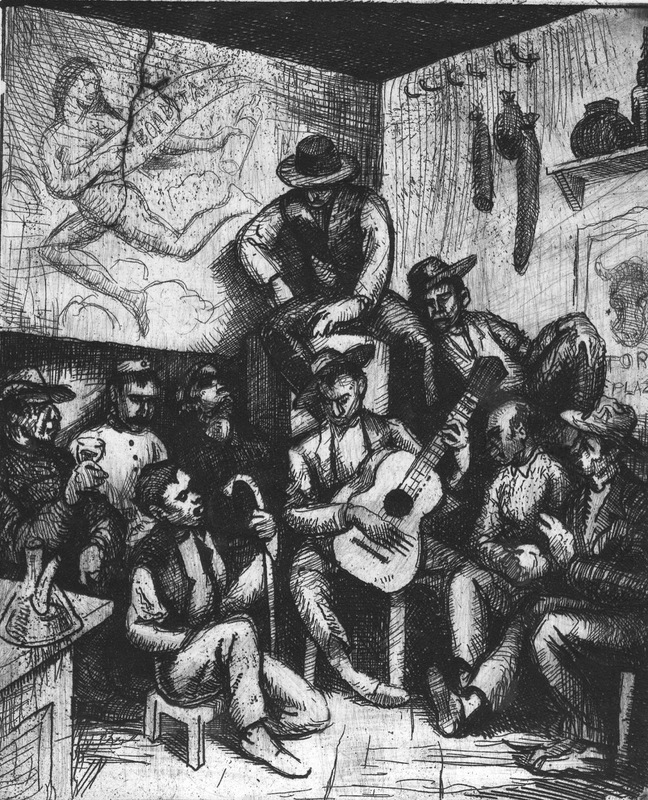 An exhibition of paintings from this series was held in 1937 at the Lefevre Galleries. This painting is discussed here. - My father inherited pictures by Jan and Cora gordon from his father and, as Jan Gordon's Godson, saved more artworks from the Clanricarde Gardens flat following Cora Gordon's death in 1950. 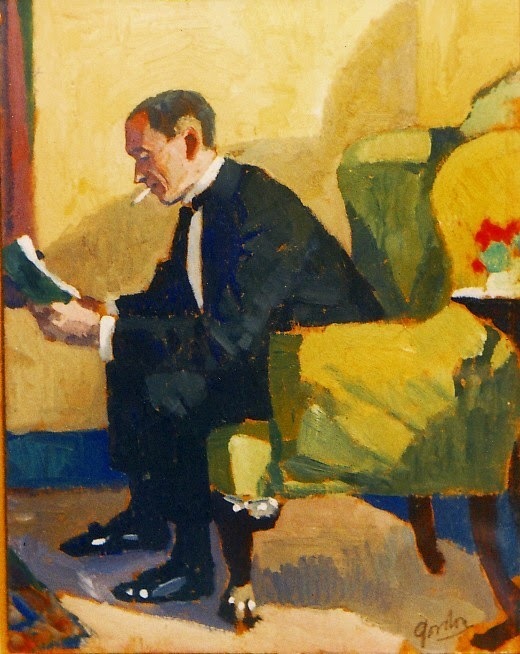 - The BBC site is the best resource for paintings by Jan Gordon in public collections (more than 30). - The books and magazine articles by Jan Gordon and Jan and Cora Gordon together contain numerous reproductions of their artworks. By far the most complete resource on these can be found here.